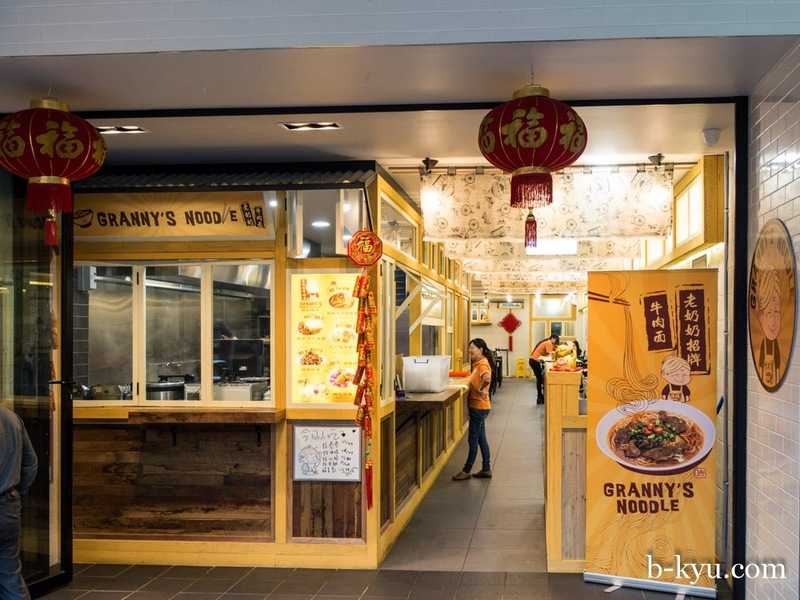 Granny's Noodle in Burwood is one of the newer style of noodle houses popping up around Sydney, all shiny and squeaky with a touch of cutesy. 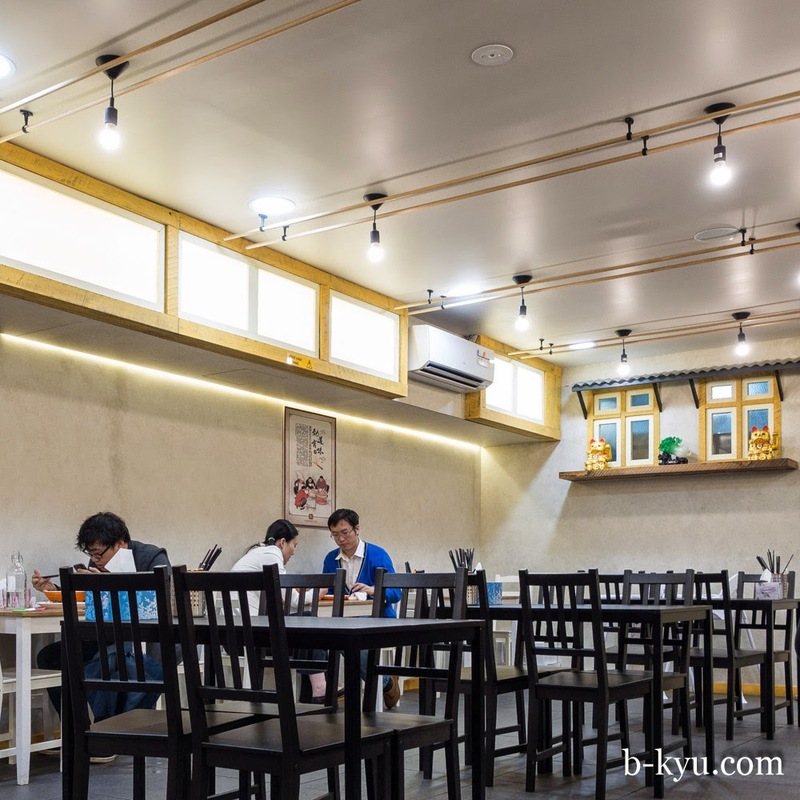 The chef here tells us the food (or Granny) hails from the Anhui province of China, just the next province west of Shanghai. 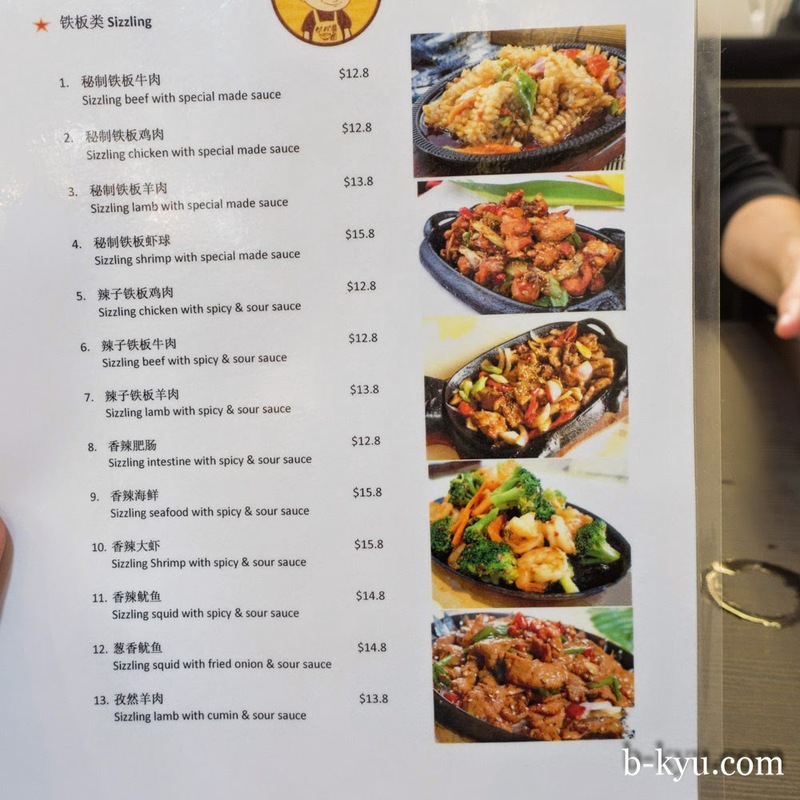 The rise of food choices from different parts China and the end of an homogenised 'Chinese' menu is something we love seeing. 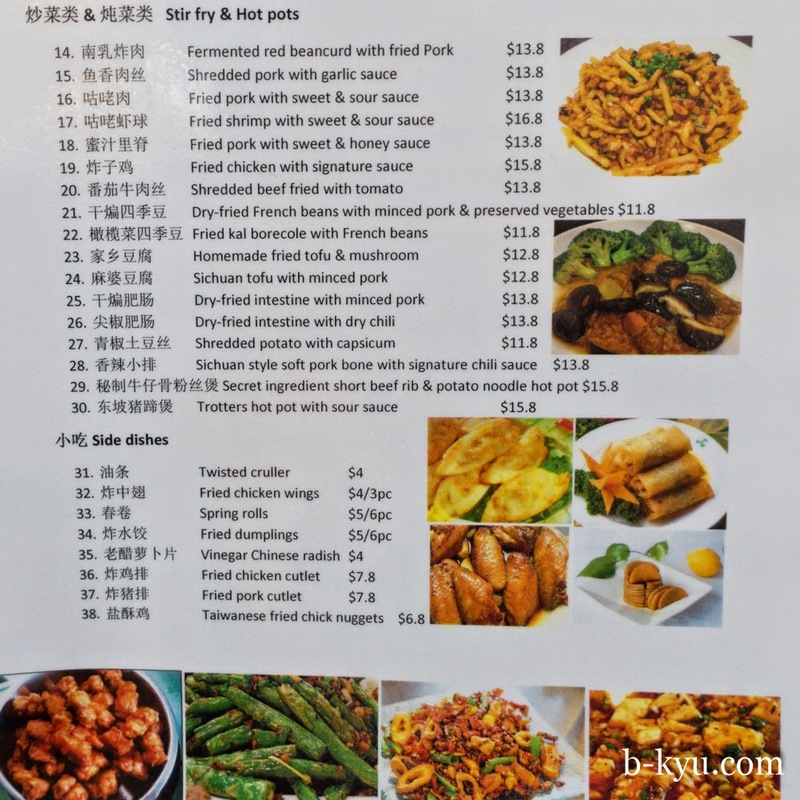 There's ample use of beef and tripe on the menu, with a stand by serve of good old pork. Choose from noodle soups, set dishes with rice and a bunch of smaller side dishes to make up your meal. Red fermented tofu with pork, sizzling lamb with cumin and sour sauce and dried fried intestine with chilli grab our attention for next time. 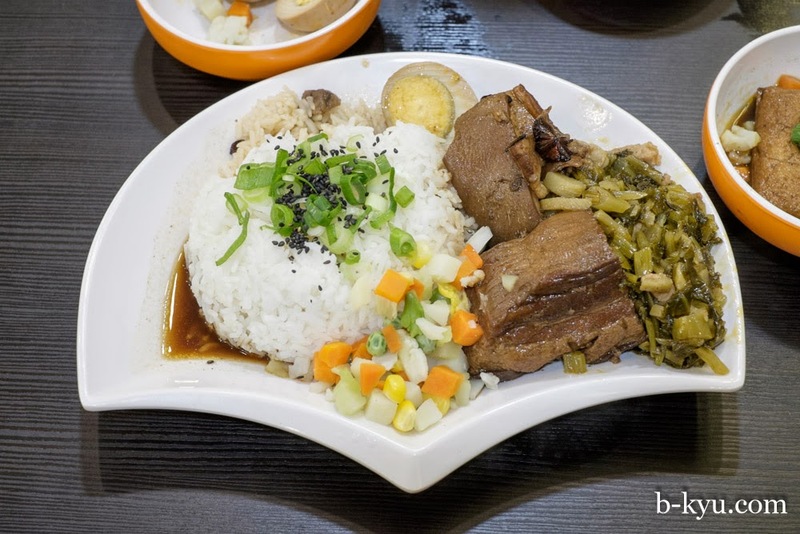 Although there's lots of veggie side dishes, you can never be quite certain there aren't small pieces of meat or fish hidden away. The interior styling goes for a canteen look with touches of homeliness. Lucky cats and the 'auspicious cabbage' on the shelves invite wealth and prosperity. We're not sure what the 'choose your own adventure' toilets out the back are supposed to invite. 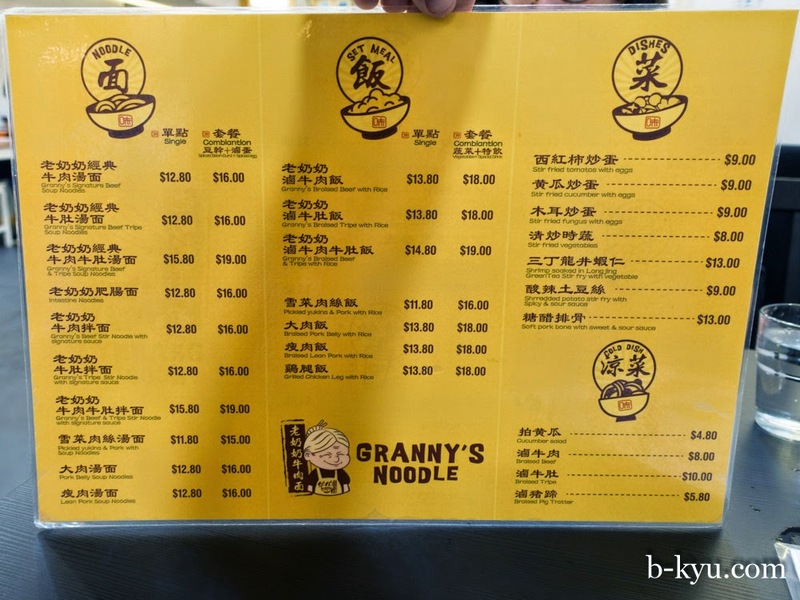 Granny's Signature beef tripe soup noodles - $12.80 (or $16 for combo with spiced bean curd & egg side dishes). A hot and sour soup and plenty of it, with flavour soaking hunks of honeycomb tripe. 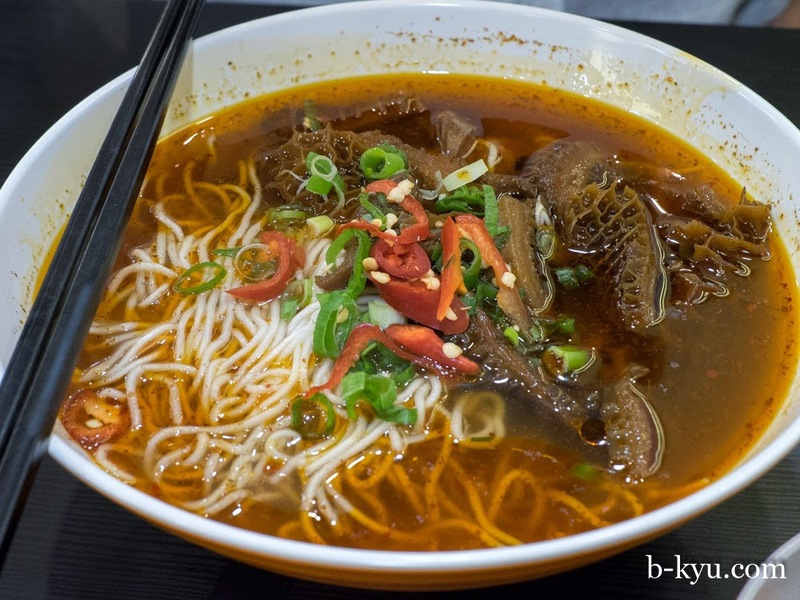 If you're not into tripe we reckon the beef noodle soup would be equally excellent. ('Who isn't into tripe?' asks Alison). 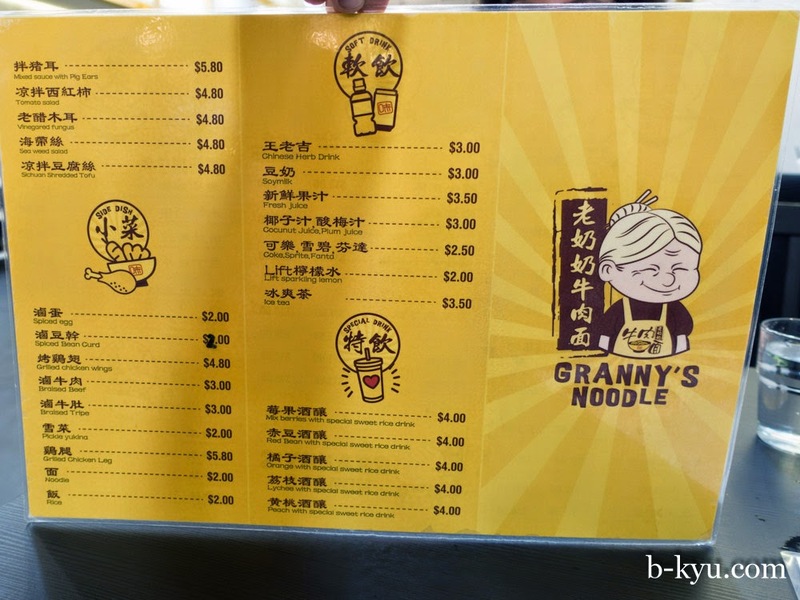 The noodles are thin and not too soft, giving a nice little bite with every slurp. 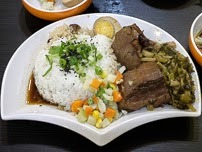 Braised pork belly with rice - $13.80 (or $18 for combo with a side of veggies and 'special drink'). A couple of hunks of slow cooked pork belly in a dark, sweet sauce, with pickled veggies, regular veggies, a tea smoked egg and rice. The vegetables seemed like a mix of frozen no frills veg mix, but the pickled veg was excellent and flecked with tiny slivers of meat. The side dishes that come with the combo sets. 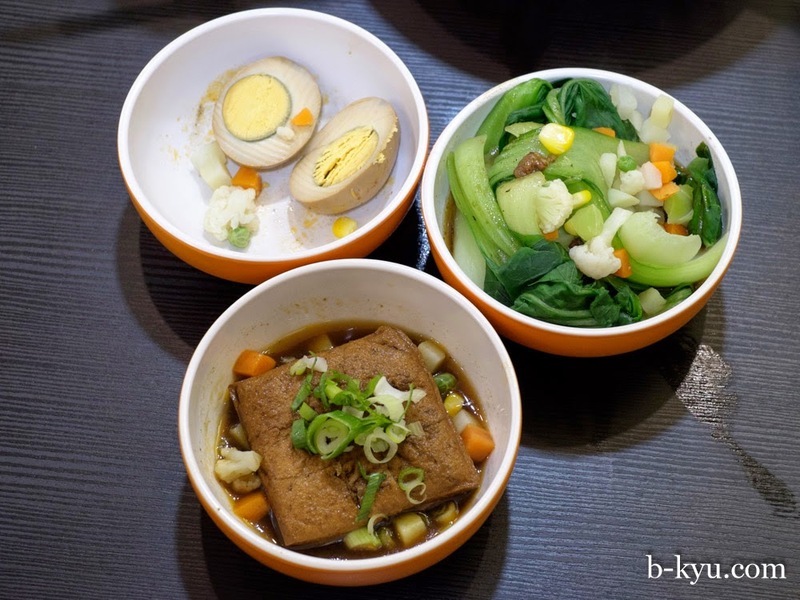 Tea eggs, a mix of greens and frozen veg mix and a good square of tofu in a soy sauce broth, biting down on the tofu released a shot of the flavoursome broth. 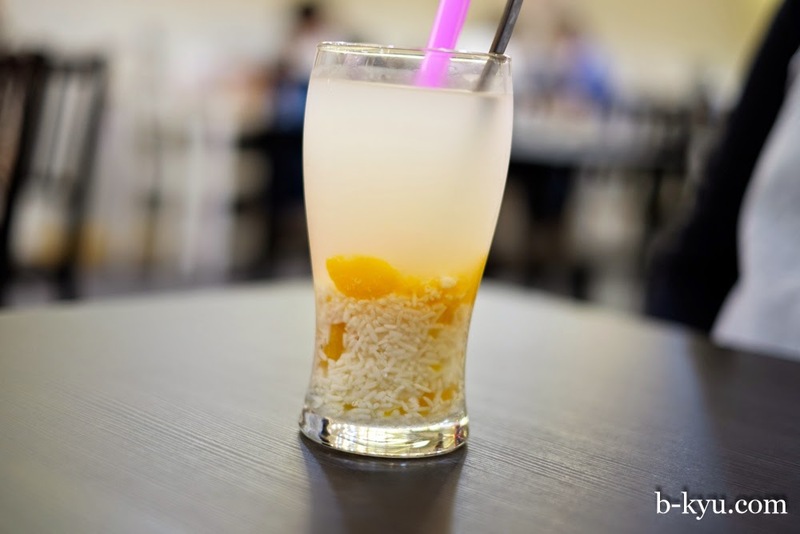 The aforementioned 'special drink' is a special drink indeedy, orange with special sweet rice, like plain barley water with a handful of fermented rice at the bottom. It tasted funky but somehow it worked with the sweet kick from the oranges, which we guess are those super sweet tinned mandarins. 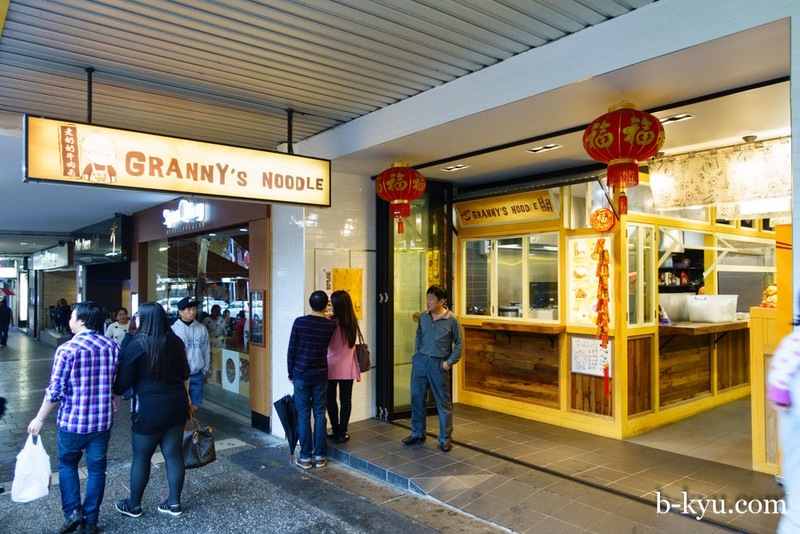 Granny's Noodle is at 132 Burwood Road, Burwood. Phone 02 8541 4954. 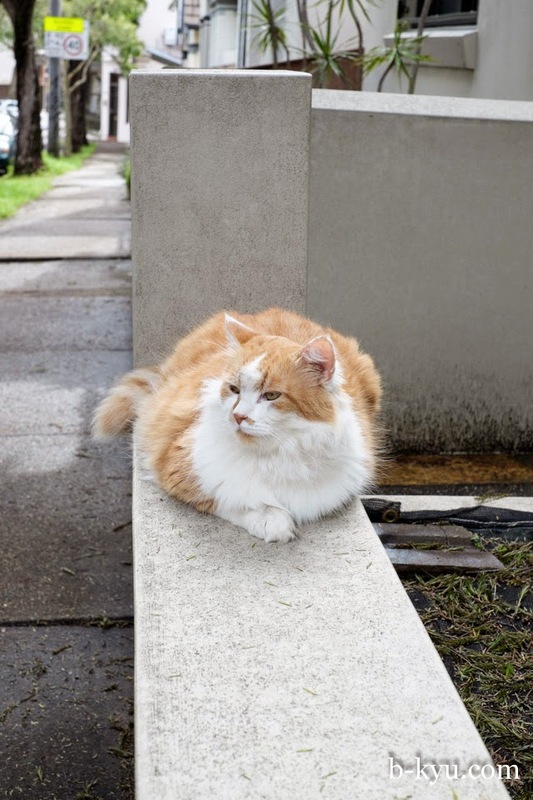 This post was brought to you by the most relaxed cat in Enmore. And his pat floozy alter ego.